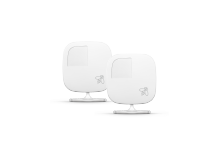 Feature Friday: What is HomeIQ? Every ecobee thermostat comes with free, lifetime access to a personal and secure Web Portal that allows you to monitor and manage all aspects of your smart thermostat anytime, from anywhere. 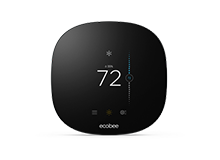 HomeIQ is one of the marquee features of the web portal, and a feature that sets ecobee apart from all other smart thermostats on the market. Our mission with HomeIQ is to educate homeowners about their home heating and cooling and home energy use. We want to empower them to reach their savings goals without compromising their lifestyle or comfort. Home IQ takes the raw data from your HVAC and turns that information into insights that enable you to be more comfortable in your home, and optimize your home heating and cooling for savings and energy conservation. The data and insight available in Home IQ will give you the information you need to optimize your heating and cooling so that you and your family are always comfortable and that you are meeting your savings goals. Essentially, the information in Home IQ acts as a free home energy audit. We want to show you the amazing data and insights you can get through Home IQ from your Web Portal. So, keep an eye on the ecobee blog for in-depth looks at the various Home IQ features as part of our weekly Feature Friday series. 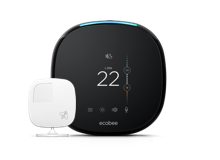 Note: The data for the comparisons and savings information is derived from several data points: the standard 72 Fahrenheit (22 Celsius) temperature hold, the weather information from weather stations in your area, and the property characteristics you input when you first installed and set up your ecobee3. These standards and data-points determine for how long your equipment would normally run and compares this to actual runtime since you installed the ecobee3 to generate these data reports.